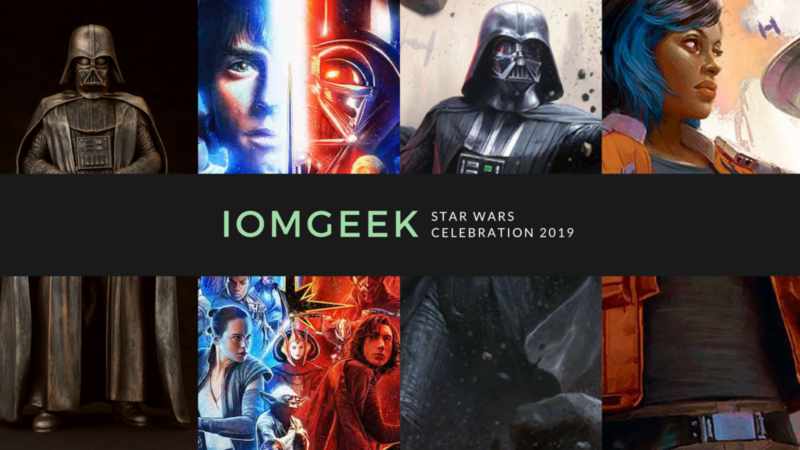 Disclaimer: We were given a media pass to Star Wars Celebration Chicago 2019, however, we also purchased 5-day passes in order to enter panel lotteries, and Lightspeed Lane and panel reservations. As such, you will get an honest opinion of Star Wars Celebration 2019 below. With the reveal of amazing footage from the upcoming The Rise of Skywalker, and The Mandalorian, as well as great fan interactions and memorable moments, while Star Wars Celebration 2019 certainly stumbled in some areas, it exceeded expectations in many. The joy and support of fandom of both each other (the outpouring of love for Kelly Marie Tran and Ahmed Best) and of inclusion (“Star Wars is for Everyone”), this may have been the most diverse AND divisive Star Wars Celebration yet. Five days may have originally seemed like too long for the convention, but I was discovering new things to do every day, and was never want for interesting fun activities. Mixed blessing here. I, for one, am actually a fan of the reservation/lottery system. It let me know ahead of time what I’d get into and what I wouldn’t, it reduced camping out and line waiting and, when it worked, it was a generally pleasurable experience. My main criticism lies in the obvious – the technical issues definitely got in the way, and with it not working until Saturday, the first two days of the convention were a bit tricky to navigate. Generally, I was able to attend every panel I wanted to go to, and got into every lottery I wanted, so I can only complain but so much. But I do know others had more issues. In addition, the inconsistency in checking for badges/QR codes left some fans confused. I will say that reducing the overnight queueing may have upset some fans, but I am 100% for this type of integrated technology in the future, as it allows for easier planning. The Exhibit Hall at McCormick Place had some similarities, but numerous differences from previous Star Wars Celebrations (that I’ve attended, anyway). As usual, the Star Wars Show Live Stage was in the center of the Hall, which can lead to definite crowds when celebrities are present, or panels are streaming on the stage. However, on the plus side, if you are unable to attend a panel in person (because you didn’t get in via the lottery), being able to experience it with fans in the middle of the Exhibit Hall is most certainly a close second place. It does seem like it would be better served in an area of the Exhibit Hall that isn’t so in the way though. The main difference, at least to my memory, is in the layout of exhibitors. While previous Celebrations seem to have segregated areas for Artists Alley, resellers, official exhibitors, cosplay groups, and more, this Celebration seemed to integrate them a bit more. The layout of the hall in McCormick Place had some resellers side by side with larger exhibitors like Disney, Fantasy Flight, and more. And while I appreciated the integration, I do wonder if the lines at some of the larger booths hurt the business of some of the smaller vendors, that would usually be amongst similar booths. There was some separation, but the layout definitely took some getting used to, though with five days to hit the show floor, I kept finding new things daily. I mean, Fantasy Flight and Diamond Select, in addition to having booths right near the entrance to the convention, both had HIGH DEMAND exclusives that had fans lined up. I wasn’t able to get my hands on either one, but they looked fantastic, and I know those that got them felt they were worth the wait. Funko…you folks know I’m a Funko fan, but I think they really need to figure out a different way for their booths in the future. In addition to having scalping occurring IN LINE (to the point that Jenny was treated rather rudely at for even coming to the line to ask me where we’d meet later), people lining up for hours at a time, and no real display other than the retail option, is starting to leave a lot to be desired. That being said…people bought the POPS and are selling them for 4 times what they paid for them (at least), so what do I know? Disney’s Galaxy’s Edge booth had numerous fun photo opportunities, as well as a display (that changed daily) showcasing new merchandise coming to the theme park expansion later this year. I do wish they’d had something to actually purchase though, as I certainly have loved the merchandise at the Disney booth (typically what’s coming to the parks, or Force for Change shirts) in the past. The LEGO booth was pretty spectacular (as was a giant LEGO display made up of Stormtroopers elsewhere in the hall). The retrospective of 20 Years of LEGO Star Wars was really well done. Heroes and Villains (https://heroesvillains.com) came out in force with impressive apparel that fans really ate up – book bags, accessories, hats and shirts, with a fun spin to set them apart from the typical merchandise. Amazon had a huge presence, and while I wish some of the merchandise they released on their website (Mandalorian, Episode 9, etc) had been available at the show, their “Treasure Truck” was a big hit, and they had kiosks all throughout with the ability to win fun prizes just by scanning your badge. The Art Area was well laid out, with artists lined along the perimeter for fans to walk around the circle. While some of the bigger artists had booths on the show floor (such as Dave Dorman and Michael Golden), these artists were putting out spectacular work. Some great exclusives this year at Star Wars Celebration Chicago, including an awesome Rancor Tiki Mug, an assortment of t-shirts and Hawaiian shirts, spirit jerseys, and the ever popular screen printing booth. Plenty of stock meant that MOST items were available for the duration of the convention. Visiting on Monday, while there were certainly items out of stock, there was still plenty to purchase. Po-Zu ran out of shoes pretty early in the convention, which was a bummer, as was the “blink and you’ll miss it” shirts for The Rise of Skywalker. The Darth Maul hoodie seemed to be a big hit as well – I saw people wearing them all weekend. Once the Lightspeed Lane system was working, I had no problem attending the store daily. However, I missed the first two days of the convention due to technical issues, and I know that Thursday night had folks frustrated with long waits and technical issues. McCormick Place in Chicago is certainly a huge convention center. This certainly helped spread crowds out (the Twin Suns Stage was a decent walk away from the Exhibit Hall). Obviously, Chicago in April is a bit of a risky choice, and it snowed an entire day – didn’t keep fans away, though. Even the outdoor queues for both the main entrance (which did have heated tents) and the Wintrust Arena (where the main panels were located) didn’t deter fans. The ability to have TWO connected hotels was extremely convenient. Fans who didn’t want to brave the elements didn’t have to unless they had a panel inside Wintrust. The Episode 9 and Mandalorian panels were clear standouts of the convention. Being inside the arena for the reveal of The Rise of Skywalker had fans erupt in happiness and will be an amazing memory for those in attendance. The Mandalorian footage, and the fun interaction with the cast and crew made for an interesting watch and sparked a lot of excitement in fans. The Episode I Anniversary Panel was fun, but nothing too special, with few of the main cast in attendance. I discovered, no matter how us older fanboys feel about the prequel trilogy, an entire generation grew up with those as their Star Wars movies and they ADORE them. The Galaxy’s Edge panel didn’t reveal much new, but the Coca-Cola Arubesh shirt was just about the biggest hit of the convention. I attended the ILM Panel on Sunday, and enjoyed the masters of ILM talking about the craft of making the models that are the iconic ships of the movies. In addition, the Star Wars Archives panel, with author Paul Duncan telling stories of his learnings in the LucasFilm archives, features tons of photos I’d never seen before, and fun tales. Despite the reveal of a trailer and a well known (to fans of Gotham) actor playing the lead, the Jedi: Fallen Order panel did little to excite. I love the idea of the game, the promise of a single-player campaign with no micro transactions, but I do feel like the trailer could have been more interesting. The reveal of the Purge Troopers was pretty awesome though. There’s nothing quite like Star Wars Celebration. While there are certainly conventions of equivalent or bigger size, a 5-day convention with a SINGLE fanbase, all fans of Star Wars, is something to truly behold. On the final day of the convention, I was walking with a family into the convention. It was their only day attending, and their young son (who was dressed as Kylo Ren) was excited to attend the Episode I panel, and then after had autograph and photo sessions with some of the cast of Star Wars Resistance. It hit me that Star Wars, at this point, is almost a three-generation franchise, and with cartoons and television connecting with young fans, there’s no shortage of age ranges and diversity at the convention. It’s easy to get lost in the negative sometimes – whether it be toxic fandom, technical issues, or whatever, but when you see a five year old child dressed up in a costume interacting with a homemade droid built by a fan in their 20’s or 30’s, it’s an indication that this is a franchise that has, and continues to, resonate with fans.